Healthy Gen Media and Island Bound Publishing, 9780989778749, 180pp. Published by Healthy Gen Media. If you work in health and human services, you know how susceptible you and your colleagues are to stress and compassion fatigue. The risk factors and occurrences of becoming overwhelmed are widespread and systemic. However, the industry generally addresses only the symptoms, rather than treating the problem holistically. 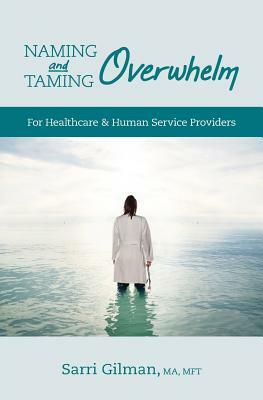 Naming and Taming Overwhelm, by Sarri Gilman, will help you recognize if or when you're becoming overwhelmed and provide simple steps to protect and care for yourself. Learn how to tune into your own personal signals as well as develop techniques for listening to and helping your colleagues who may experience their own early signs of feeling overwhelmed. Sarri Gilman, LMFT, has worked in private practice as a licensed marriage and family therapist since 1986. For over 20 years, she has also served in staff, leadership and advisory roles to health and human services and educational organizations. She has had the opportunity to work deeply with many people. She cares deeply about those who work in the helping professions and offers workshops and coaching for everyone from frontline case workers to executive level leaders throughout the United States. She lives in the Pacific Northwest and is also the author/founder of the Transform Your Boundaries(R) series.